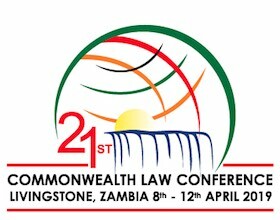 To give lawyers a better idea of what is going to be covered at the Commonwealth Law Conference on the 8th to the 12th April 2019 we have decided to share the draft programme. We hope this will convince everyone to take part. Session A1: Bribery Versus Compliance – How to Change the Culture? Surveys show that 40% of lawyers globally have never heard of important international measures against bribery and corruption (eg. the UN Convention against corruption or the OECD Anti-bribery Convention). Are lawyers part of the reason corruption is thriving? What are Lawyers’ Responsibilities? A Lively Look at Means and Ends. In modern contract law, is there a duty of good faith, or is this a mere hobby horse of academics? What are the dangers in advising clients of the rules about good faith – in negotiating contracts? Given the daunting research as to our unconscious biases and how our own biases of others; How can lawyers, mediators and arbitrators manage these unconscious biases? How can lawyers, mediators and arbitrators conduct a fairly, objective mediation and leave their biases behind? How can lawyers, mediators and arbitrators create a neutral playing field for claimants or litigants? Lawyers have an increased duty to protect client data, and not just from cyber hackers and in office technology systems. What of virtual and digital suitcases and border crossings? A case against competition law in Africa from the perspective of investment in Africa. According to the World Economic Forum, the conversation about Africa is shifting from one of “deficits” and “gaps” to one about opportunities, prospects, ventures and creativity. There is an increasing flow of direct foreign investments into the Commonwealth African economy. How do we do it, where do we do it? Who benefits from the up-skilling of the profession? What is the competition doing? Cross border commercial transactions in various areas of the law and how disputes are solved. All jurisdictions are struggling to deal with the cryptocurrency revolution. What do lawyers advise clients and governments about the regulation of this elusive treasure? Redefining the use of and developments in, legal reasoning and written advocacy – the end of the silver tongue? Session A10: Africa – The Rise of the Next Great Superpower Bloc? What are the potential development scenarios for the African continent, given its population and resources (many newly found or exploited), and what is the role of the legal profession in fostering that development? Developments in the pillars of the trading system and looking at the threats and opportunities throughout the Commonwealth. Understanding developments in the law of copyright, trademarks and patents in the digital age.